Headache: You have a headache. 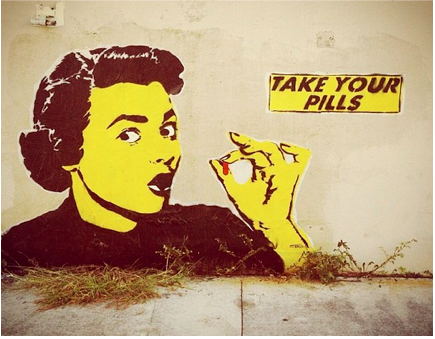 I give you a yellow sugar pill while telling you that it is an aspirin that will make you feel better. You take it and your headache gets better. This case is taken to be a paradigmatic case of a placebo (the sugar pill) and a placebo effect (your headache gets better). It is, more particularly, a paradigmatic case of placebo analgesia or placebo for pain—the most well-studied and well-accepted type of placebo effect. We might just think it’s obvious, but what is it about this case that makes the effect a placebo effect? Disappointment: You are disappointed. I give you a yellow sugar cookie while telling you that it is a well-deserved reward that will make you feel better. You eat it and your disappointment gets better. Your feeling better, in this case, is not a placebo effect, right? Why not? In both of these cases, sugar and a kind word have caused you to feel better. Maybe it’s because we think that emotional effects are just not the sort of things that can be placebo effects. But many experiences, especially emotional experiences, are unpleasant, and that unpleasantness appears to be what changes in the typical pain placebo cases. It’s the nasty awfulness of your pain that placebos make better and placebos can make the nasty awfulness of emotions better, too. 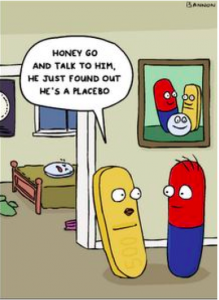 As Petrovic et al (2005) put it in their influential paper (p.963) “… the modulatory processes in placebo are not specific for placebo analgesia, but are rather part of the mechanisms involved in the regulation of the emotion processes in general.” Along with others, they have argued that placebos for pain are just an instance of placebo for emotion. The unpleasantness of emotions, it is increasingly accepted, is as subject to placebo treatments as the unpleasantness of pain—and through the same mechanisms. Do you still think Headaches is a case of the placebo effect, but Disappointment is not. Why? Aspirin: You have a headache. I give you a yellow aspirin while telling you that it is an aspirin that will make you feel better. You take it and your headache gets better. If anything is not a placebo effect, we might think, then Aspirin is it. Identifying why, however, turns out to again be difficult. It has turned out that many of the same pathways, neurochemicals, and brain areas involved in paradigmatic cases of analgesia, as in Aspirin, are likewise involved in paradigmatic cases of placebo analgesia, as in Headache. And these similarities, as reviewed in Benedetti’s (2009) important book, are not just limited to the ultimate effects on symptoms, but the mechanistic means by which symptom changes come about. When you take a yellow aspirin and a yellow sugar pill, much the same physiological things (relevant to the nasty, awfulness of pain) happen. Still, we probably think that Headache is a placebo effect, but Disappointment and Aspirin are not. Why? Placebo researchers, along with most people, assume that there is some difference between placebo effects and non-placebo effects. A good characterization of the placebo effect will be broad enough to include (at least most of) the placebo effects, and narrow enough to exclude (at least most of) the non-placebo effects. It will, for instance, include Headache as a placebo effect, but it won’t include Disappointment or Aspirin. Problems giving a characterization of the placebo effect that can do this are called scope problems. The traditional way to characterize the placebo effect was to distinguish between active treatment interventions and inactive or inert ones. A placebo intervention was considered to be an inactive or inert treatment and a placebo effect was the effect of a placebo intervention. Using this characterization, we would say that a sugar pill and a kind word are inactive or inert. So, when a sugar pill and a kind word cause you to feel better, that’s a placebo effect. An aspirin, however, is an active and potent drug. So, when an aspirin causes you feel better, that’s not a placebo effect. The problem, as people eventually realized, is that if the sugar pill and kind word have made you feel better, then they are not inactive or inert. After all, they made you feel better! This problem with the traditional characterization of the placebo effect is called the placebo paradox. As Koshi and Short (2007) put it (p.10): “If placebos are inert substances, they cannot cause an effect. 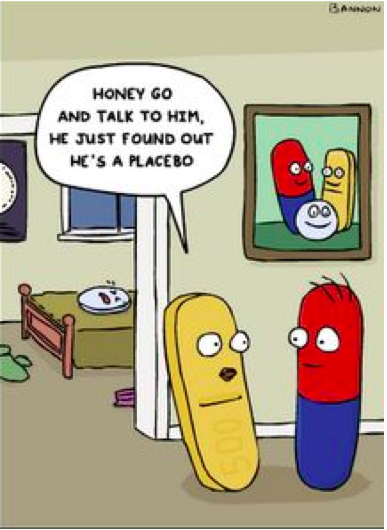 If an effect occurs, the placebos are not inert.” In the face of this problem, most people have given up the traditional characterization of the placebo effect. But the same problem arises for many of the other attempts to characterize the placebo effect. Some try thinking of placebo effects as the effects of fake, illusory, or sham interventions. But if the interventions work, why aren’t they real? And if they aren’t real, how can they cause improvement? Placebo researchers are still looking for a successful characterization of the placebo effect. Though I lack the space to discuss them all here, all characterizations require that we are able to neatly separate out some interventions and outcomes from others. They require, that is, that we can separate out the legitimate treatment interventions and outcomes—like taking an aspiring and feeling better—from the supposedly illegitimate ones—like taking a sugar pill and feeling better. It seems to me that we should, instead, accept as equally legitimate those interventions that work when we test them. If an intervention works, then we should use it and drop whatever biases we might have had against its legitimacy before we tested it. We might think, however, that we need to identify placebos and placebo effects precisely we need to test which interventions are legitimate. Randomized controlled trials (RCTs) are the gold standard for testing treatment interventions. In an RCT, people are randomized to at least two interventions called treatment arms, and the outcomes in these arms are compared. RCTs can vary (among other ways) in the number and types of interventions compared, the types of factors used to select the people, and the type of analysis used to evaluate the outcomes. Important for us is that RCTs almost always involve a “placebo arm”: some people are randomly assigned to receive what is supposed to be a placebo intervention. The outcome for those receiving the placebo intervention is taken to be the placebo effect and it is taken to be a sign of legitimacy for a treatment that the outcome(s) in its arm(s) is greater than that measured in the placebo arm(s). Any treatment intervention that is not more effective than a placebo intervention is considered to be ineffective. The issues here are complicated, but it seems to me that we do not need the notion of placebos or placebo effects for RCTs—we will simply need to stop thinking of the “placebo arms” and the outcomes in those arm as placebos. Instead, we can and should re-conceptualize RCTs as involving the comparison of outcomes of interventions that are similar and different in specified ways. This we can do without distinguishing a distinct placebo effect or class of such effects. In a post-placebo era, experiments will simply compare something with something else. That is, they will compare experimental conditions: one group gets these conditions and another group gets those conditions. The report of every methodologically acceptable experiment will describe the conditions that have been compared… Eventually we will have standard descriptions for commonly compared things. Legislation will reflect those standards. We gain transparency, honesty, and clarity. If an intervention is effective, then we should use it. If it works, then it should be accepted as being as real, potent, and legitimate as any other intervention. Calling some effective treatment intervention a placebo and a real effect a placebo effect undermines the legitimacy of those treatments and effects. Many interventions appear to be lumped in as placebos, even though they are effective, because we think they are all illegitimate. If it’s not a pill, a needle, or a knife, then it is medically suspect. This lumping matters since some interventions are ineffective; some supposed placebos are more effective, for some things, than others. These lumped interventions should be separated out and more thoroughly and transparently tested so that we can better understand if, when, and how they work, and so that we can make decisions about when they are safe, effective, and worth developing. Not all “placebos” are created equal. But if we keep distinguishing placebo treatments from all other treatments, then our biases against their legitimacy, despite their efficacy, are likely to persist. Our beliefs about legitimacy are, I think, the biggest contributor to explaining why we think some interventions and effects are placebos while others are not. Think again of Headache, Disappointment, and Aspirin. A cookie and a kind word is, we might think, a legitimate intervention for disappointment—so, not a placebo effect. An aspirin, we might think, is a legitimate intervention for a headache—so, not a placebo effect either. A sugar pill and a suggestion for a headache is, however, illegitimate—so, any effect caused by this intervention is a placebo effect. 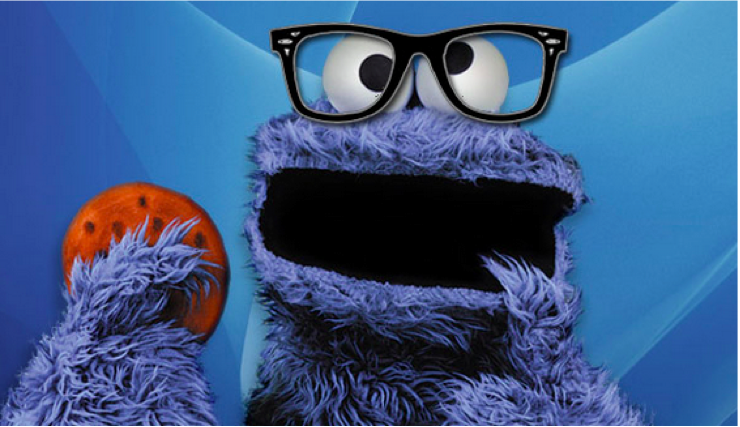 Sometimes, however, maybe what you need is a cookie and a kind word, and not another aspirin. Not just for disappointment, but for a headache, too. If we stop thinking of cookies and kindness as placebos, then maybe we’ll start to better understand how they help. Sometimes they really, legitimately, do. Benedetti, F.. 2009. Placebo Effects: Understanding the Mechanisms in Health and Disease. New York: Oxford University Press. Koshi, E.B. and Short, C.A. 2007. Placebo theory and its implications for research and clinical practice: a review of the recent literature. Pain Practice 7(1), pp. 4-20. Nunn, R. 2009. It’s time to put the placebo out of our misery. British Medical Journal 338, b1568. Petrovic, P, Dietrick T, Fransson P, Andersson J, Carlsson K, and Ingvar M. 2005. Placebo in Emotional Processing—Induced Expectations of Anxiety Relief Activate a General Modulatory Network. Neuron, 46 (6), pp. 957-969. This isn’t true. When aspirin makes you feel better, it’s well-known (by doctors, researchers, my mum…) that it’s partly due to the placebo effect. By exclusion, the difference in efficacy between aspirin and placebo is assumed to be a function of aspirin’s chemical structure, rather than effects that we have established are not due to its chemical structure. That’s what we refer to as an inert substance, even though nothing is perfectly inert. That’s why you compare an intervention to placebo rather than nothing (although doing nothing is not inert either, since there’s no default setting for human life). In most of the best trials, you compare your intervention to the standard of care AND placebo, because a sugar pill or a salt injection, alone, are actually really mean things to give to someone who’s really ill.
(though that should be part of any treatment). The aim of giving a sugar pill is to quantify and exclude the part of a treatment’s effectiveness caused by by a) the placebo effect and b) the effect of the pill’s bulk and mass, and other mechanical factors. It is not an exercise in denigrating the placebo effect, only accounting for it. The argument that follows in the latter part of the article is that we should discard a useful shorthand that is invariably well-understood in the clinical world — and can be understood by anyone else who reads the very good Wikipedia article on the subject — to elevate the legitimacy of an already legitimate and established concept. been done: green placebos work best for affective disorders, for example; placebos work better if the doctor thinks he’s really giving fentanyl for pain than if he thinks it’s a placebo; inert injections work better than inert pills (and have more side effects) etc ad inf. That is not to say these things are chemically active. It does mean that they can be used to design trials, e.g. a blue sugar pill should be used in a trial for Viagra and a white one for Lipitor. In the end, sugar pills are not legitimate drugs. When a medicine can be proven more effective than placebo, then it is not chemically inert and no longer an acceptable placebo. The goal then should be to identify how it works and see if something else can work even better using similar principles. This doesn’t mean that we should be trying to improve on giving someone chocolate for disappointment: not everything should be parcelled off to the pharma industry. I agree as far as the homespun wisdom at the end goes, you shouldn’t always take aspirin for a headache. But all the positive thinking in the world isn’t going to cure chronic hepatitis. Formatting suffered because I had to email this to myself, apologies. Thanks for your response, but I think you have misunderstood me. I think you are right that most people now recognize that things called placebos—like sugar pills and salt injections—aren’t inert. The history of the placebo effect was to define it that way, but most people now do recognize that it’s a problematic definition. Unfortunately, people do still call supposed placebo interventions “sham,” “phony”, and so on, however. And there are some good reasons to think that most non-experts think that placebo effects aren’t as legitimate or real. These ways of trying to rescue or explain the notion are just as bad, but I didn’t have space in the post to talk about these many ways people have tried to save the definition. That wasn’t the point of the post. The point here was that, while some people—though not all—now recognize the troubles with our old definition and we still don’t have a good new one, we continue to act as if all effects of interventions can be treated as either placebo or non-placebo. The problem isn’t that there is no difference between a sugar pill and an aspirin. Of course there is! Denying that would be nonsense. There’s also a difference between a sugar pill and a salt injection, for instance, and a difference between aspirin and morphine. I guess I should have been clearer that the point of the post wasn’t to say that we should ignore these differences; we shouldn’t! The chemical structures of all these things matter! Of course they do! I want us to better understand how our interventions work. To do that, I think we shouldn’t try to lump them all into one of two categories: active, legitimate drugs and inactive, illegitimate placebos. This hides the important differences that we want to learn more about.